Who doesn't love a gorgeously creamy and nourishing hot chocolate? 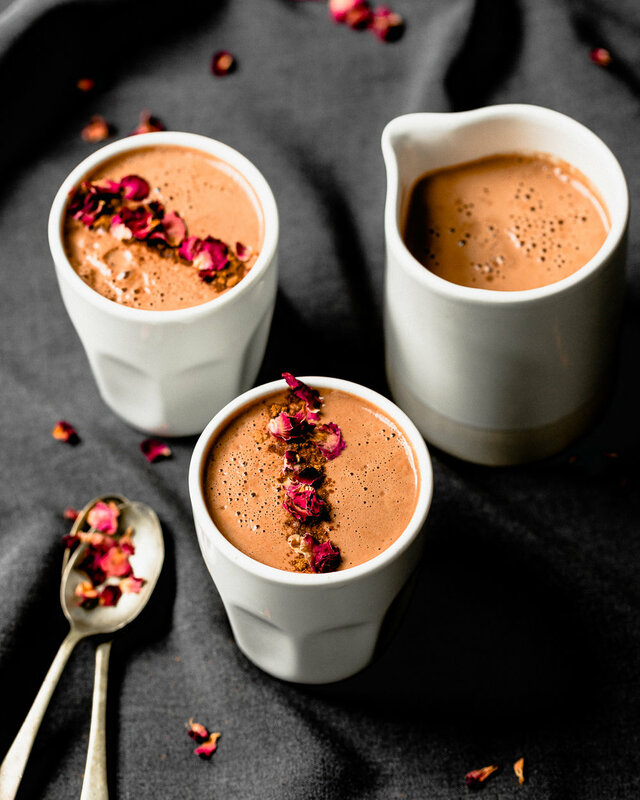 I have to admit that dark chocolate is one of my favourite indulgences, and when it's combined with the richness of coconut milk and cinnamon, and created into a hot drink, it becomes such a decadent and warming treat! This hot chocolate is easy to prepare in a few minutes and will keep you warm during the cooler months. It's full of quality good fats, collagen and amino acids and rich in antioxidants, you won’t have to feel guilty at all about enjoying a hot chocolate treat for once! 1. Add all ingredients to a small saucepan (and sweetener to taste if you're choosing to add it in) and heat on a low heat until the gelatin has dissolved completely. 2. When the mix is ready, pour into a blender and blitz for 30 seconds to 1 minute until creamy and frothy. 3. Pour into 2 mugs, sprinkle with extra cinnamon and enjoy immediately.